Armenia is one of the few Christian countries in the world, which is almost totally surrounded by Muslim countries. Regardless of religion differences, local people have rather warm and friendly attitude towards their Muslim neighbours. And maybe that’s the reason that lately Armenia has become a popular tourist destination for Arab tourists. 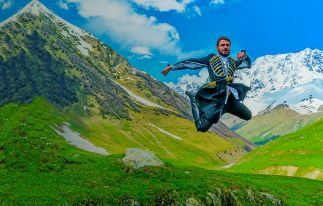 They come here to get introduced to the most ancient and richest cultures in the world and also admire fascinating landscapes of Armenia. For them wintertime is especially interesting, as they’re deprived of the opportunity of enjoying winter sports in their own countries because of hot climate conditions . Also, during recent years many Arabic restaurants have opened in Yerevan, where guests can order their familiar and ordinary food, as well as feel maximally comfortable in a foreign country. Usually tourists have no difficulties regarding to the language, as many of the Armenians speak at least one foreign language. Almost 80 % of the young people speak English and there are even some of them who speak Arabic and Persian. For the citizens of many Arabic countries, included UAE, Qatar, Kuwait, Iraq, no visa to enter Armenia is required. For the citizens of Saudi Arabia and Egypt an invitation is needed to enter Republic of Armenia. Changing a currency in Armenia is not a problem; currency exchange boots are everywhere, besides money changing signs can be seen also in supermarkets and shopping malls. Usually the best currencies to change are US dollar, Euros and Russian rubles. Local ATMs are linked to the Plus, VISA, and Maestro systems and again can be found everywhere. Western Union, Contact, MoneyGram and other transfer systems can be used to send or receive money. 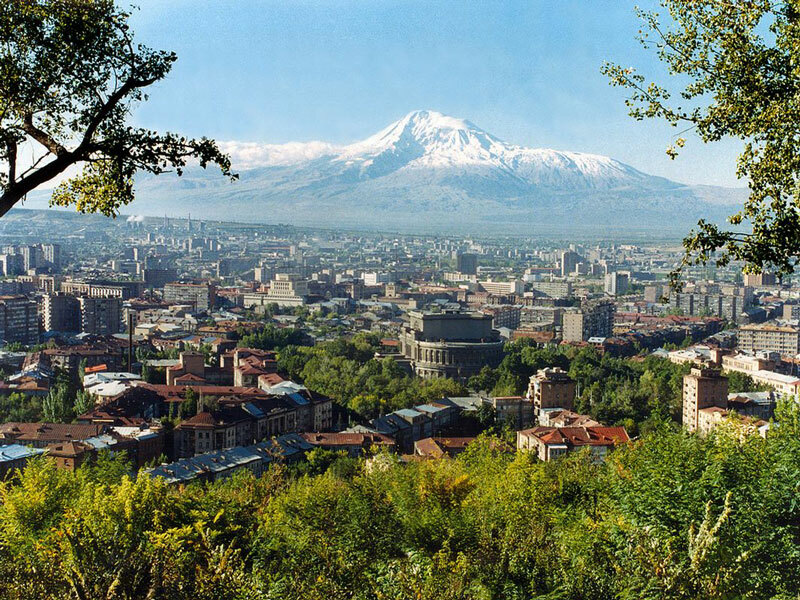 More detailed information about currency rates in Armenia you can get here. One of the symbols of friendship between Armenia and Muslim countries is the Blue Mosque in the center of Yerevan, Mesrop Mashtots 10. It was built in the 18th century by Husein Kadjan, khan of Erivan Khanate. The territory of the mosque is open for everyone, but inside of the mosque can be seen only by followers of Islam. Armenia is considered “a museum under the open sky”, as its famous for its unique architecture. That’s why, tourists who are eager to get a notion of Armenian culture and history, had better visit the well-known sights of Armenia. About 40 km to southeast from the capital, the unique temple of Geghard is located, which is included into the UNESCO World Heritage list. The architecture of the temple varies immensely from the other temples in Armenia, as one part of the monastery complex is craved inside the rock, and the other part is a comprehensive construction, which is enclosed in the walls of the monastery. The temple is located in a spectacular canyon of Azat river and is surrounded by thick forests. It’s just impossible to remain indifferent to Armenian culture after visiting this architectural masterpiece. 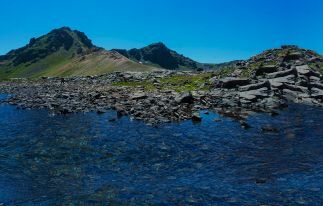 Armenia is also famous for its water resources. Just an hour ride from Yerevan will take you to one of the highest freshwater lakes in the world – Lake Sevan. Due to its unique beauty, surrounding woods and mountain chains, the lake is one of the most appealing sights both for the locals, and for the tourists. 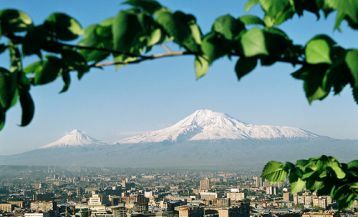 Not by chance it’s called “the pearl of Armenia”. 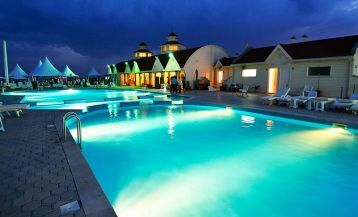 One can find any kind of hotels, restaurants and other places of entertainment, which will make the rest at the lake even more fascinating. 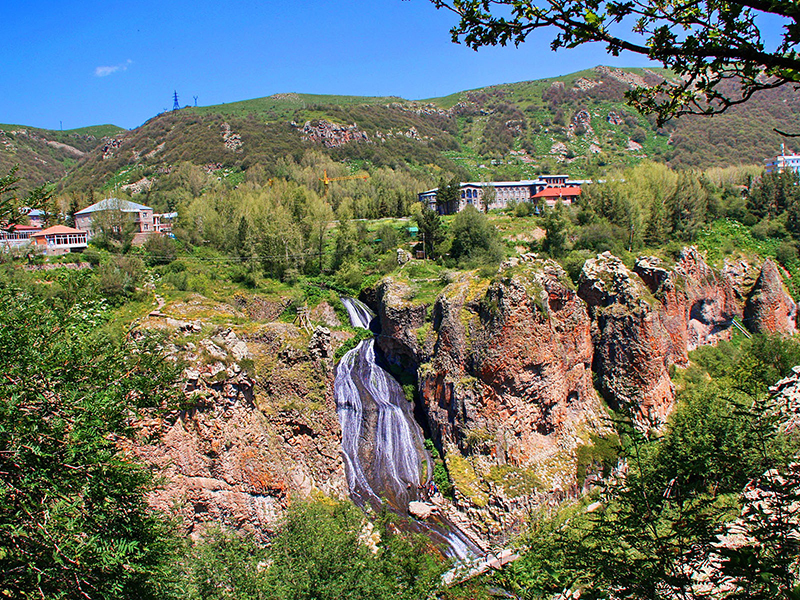 Another popular resort place that is famous for its waters, is Jermuk. Mineral water of this wonderful and cozy town is healing and can cure many diseases. If you happen to be in Jermuk, you should visit “Water gallery”, which is located near Jermuk Sanatorium, and is the symbol of the resort. Here you can try mineral water of different temperatures for free. Another beautiful sight of the town is the Jermuk waterfall, which is located on 2000 metres height and is the 2nd biggest waterfall in Armenia. Winter entertainments are more popular and interesting among tourists who are visiting Armenia. One of the most popular ski resorts in Armenia is Tsaghkadzor, a small town, located 50 km to north-east from Yerevan. In this picturesque town all the necessary conditions for ski and snowboard lovers are provided. On the slopes of Mount Teghenis a cableway has been built, which has several stations and fits into all European standards. The highest point of skiing is on the height of 2819 m.
Ski kit is possible to rent for about 5000 drams ($11), and snowboard kit for 7000 drams ($14.6). More detailed information about holiday in Tsaghkadzor you can get here. Another town, that again provides opportunity for skiing is Jermuk. Here you can find a cableway and skiing slopes as well, that fit into world standards. The slope for beginners is 1400 m, and for experienced ones-1300 m. A whole kit for a skier is possible to rent for 6000 drams ($12.5), and snowboard kit for $21. More detailed information about holiday in Jermuk you can get here. For every tourist food in a foreign country plays a huge role and affects greatly on the planned rest. 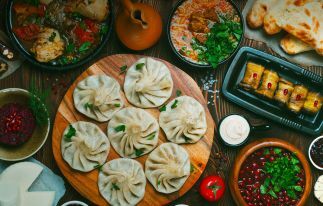 Armenia is one of the places, that will provide people from all over the world with delicious food, moreover, especially local food will make your holiday more colorful and memorable. If you do not want to experiment and try unfamiliar, exotic dishes, you can visit Arabic restaurants in Yerevan that offer traditional Arabic food. The most well-known is “Al Shadi” that is located on Nalbandyan 48. The restaurant offers various dishes of not only Arabic but also European cuisine. Every Thursday, Friday, Saturday and Sunday from 9 pm till late midnight visitors of the restaurant can enjoy different show programs. On these days the entrance fee will be 3000-4000 drams ($ 6.25-8.3). All the necessary conditions and cozy atmosphere are provided for pleasant pastime. Here you can find also 2 VIP halls, furnished in Arabic and Persian style. The restaurant is an excellent place for corporate parties, birthdays and other family celebrations. Another comfortable place, that offers Arabic food, is “Lagonid” café, located on Nalbandyan 37. The café is famous for its friendly atmosphere, tasty dishes and high quality service. The place is frequently visited especially for the purpose to try Arabic “falafel” and “kebab”. For those who want to experiment and try Armenian national dishes, the choice is more than wide. In the very center of Yerevan (Pushkin 10) the restaurant “Dolmama” is located, where you can find ethnic Armenian recipes, combined with delicacy of European cuisine. Any food ordered here will be worth your praising. Due to its calm and elegant atmosphere, the given restaurant has become a favorite place for business and friendly meetings. In case you have an urgent need to eat, but lack of time, then the best choice is “Karas” national food chain, that can be found in every corner of the capital (Mashtots 20, Vardananc 15/6, Kochar 20/1 etc). Not only the prices are rather reasonable here, but also the service is of a high level, and the dishes are no less tasty than in prestigious restaurants. The cafes work 24/7, and fit perfectly into the needs of modern megapolis inhabitants. Here, business meetings are also possible to organize, but it’s more suitable for spending nice time with friends. For those, who are eager to get introduced not only to Armenian national cuisine, but also to different traditional dishes from the whole Caucasus, the best choice is “Caucasus Tavern” (Hanrapetutyan 82). 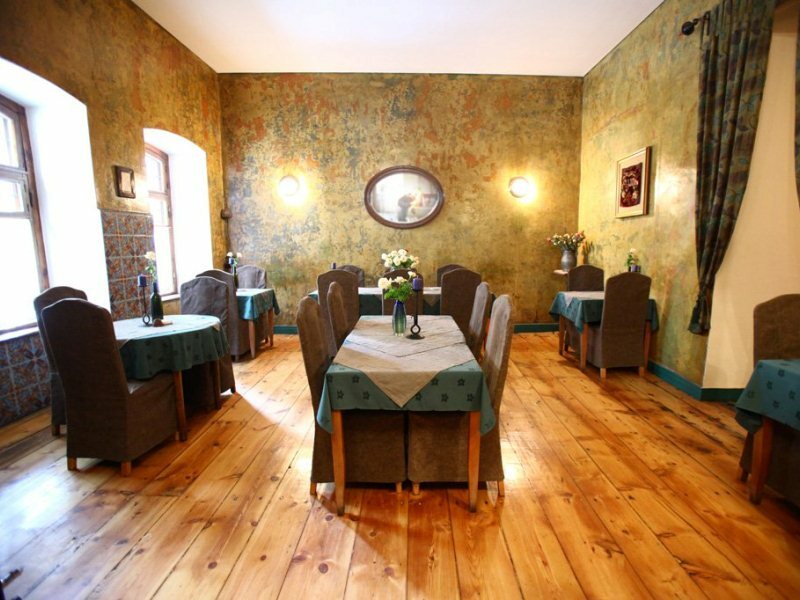 The interior of the tavern is typical Caucasian with wooden, metal, stone and straw ornaments. Here you can enjoy famous Caucasian instruments kamancha, duduk and dhol. 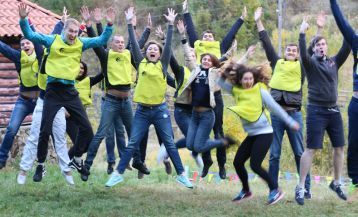 If you have fallen in love with Armenia and want to visit it as soon as possible, you have the advantage of trying the unique “Halal tour” organized by “AraraTour”- a special tour for tourists from Arabic countries. All national and religious preferences of the tourists are taken into consideration. You’ll have an unforgettable journey round Armenia with “AraraTour”.